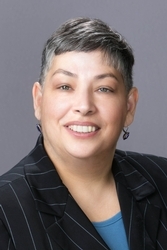 Albertina “Abby” Webb is a partner in the Red Bank, New Jersey office of Hill Wallack LLP, where she is a member of the firm’s Family Law practice group. Ms. Webb concentrates her practice on family law issues, including divorce, custody, support, post-judgment and domestic violence cases from inception through resolution, either by mediation, arbitration or trial. She also handles enforcement or modification of marital agreements, alimony and child support awards, post judgment enforcement and modification of agreements and pre-nuptial agreements, as well as engaging in litigation practice to set them aside or for enforcement. Ms. Webb is also licensed to practice in New York, where she focuses her practice on family law issues and litigation. She is a member of the New York State Bar Association, Family Law Section and Children's Rights Committee. She serves as a mediator in family law matters, either appointed by the court or selected by parties and has been appointed as Guardian Ad Litem for children and incapacitated individuals. Ms. Webb is admitted to practice in New Jersey (1998), New York (1999), U.S. District Court for the District of New Jersey (1998), U.S. District Court Eastern District of New York (2001), and U.S. District Court Southern District of New York (2001). She earned her J.D. from New York Law School and her B.S. from John Jay College Criminal Studies. Ms. Webb is a frequent speaker on domestic violence, emancipation and matrimonial practice. Panelist and Co-Chair, 2016, New Jersey Association for Justice, Domestic Violence Cases: Do you Call the Children to Testify?